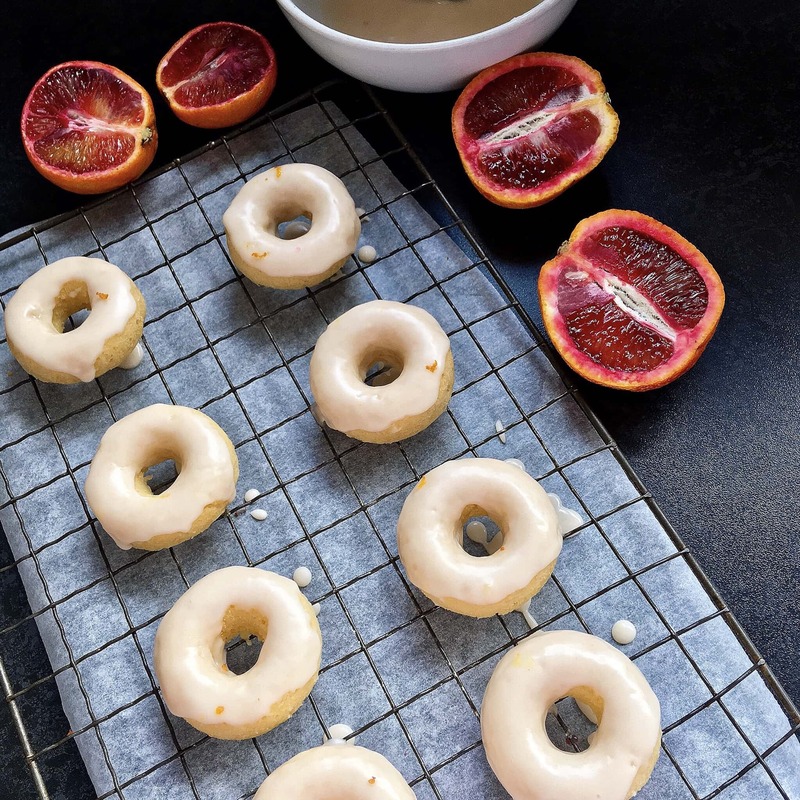 Mini baked vanilla donuts with blood orange glaze – a fun, easy bake that makes the most of the blood orange season! When blood oranges start to appear in the shops I start stocking up like a crazy person. I love them. This year it’s been a little harder to find them for some reason. I’ve only seen them in the Co-op so far and the last couple of times I’ve been in they’ve been reduced to 50p for 4 – you know I love a bargain so I’ve been snapping them up. Unfortunately I’ve not seen many true red ones yet – so far most of them have been disappointingly like normal oranges! 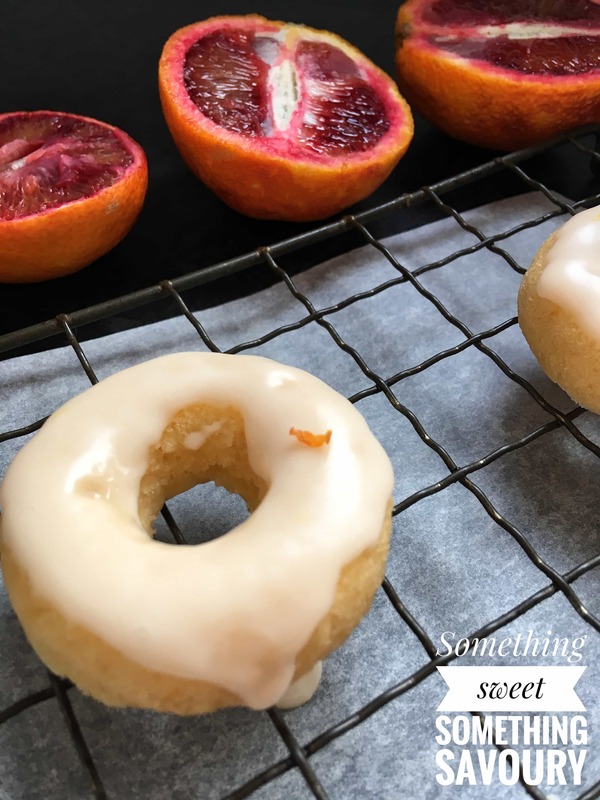 So when I found a couple that were that gorgeous dark red colour – how you would expect a blood orange to look – I had to save them for a new recipe. 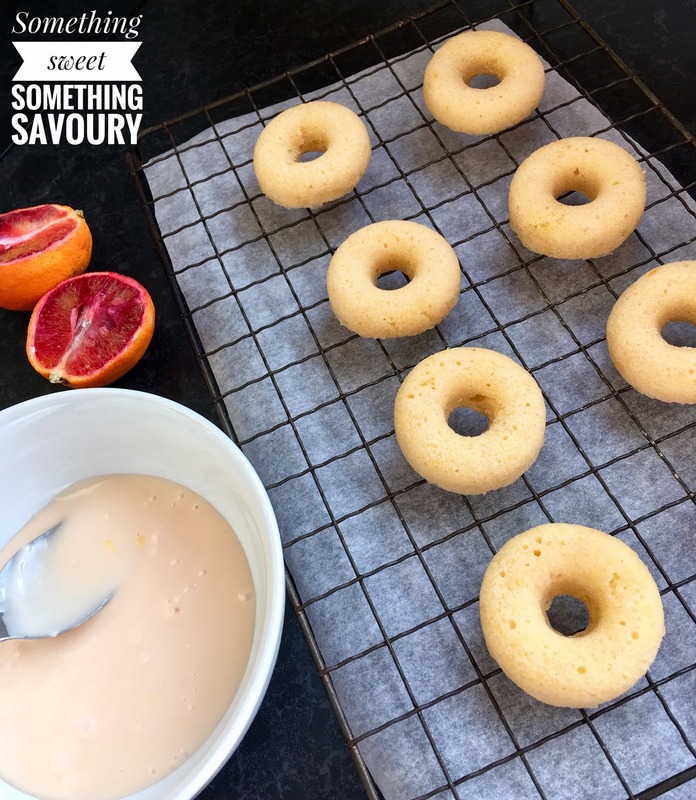 My silicone mini donut mould has been sitting unused in the cupboard for a long time, so last weekend I decided to put that right and make some baby donuts! Before I show you the recipe, I need to talk to you about something that I discovered recently – homemade cake goop. It’s a serious game changer. It’s just equal parts oil, trex and flour. You mix it all up until you have “goop”. You store it in the fridge (it keeps indefinitely) and whenever you bake a cake, give the tin a coating of this amazing stuff. I have used this on really fancy, patterned bundt tins and the cakes just slide right out. The recipe for cake goop is right here on I am Baker. The post is a few years old so you may well already know about it – in typical fashion I’m a bit late to the party! But if you’ve ever had issues with cakes sticking to tins, I highly recommend you try it. Let me know if you do! 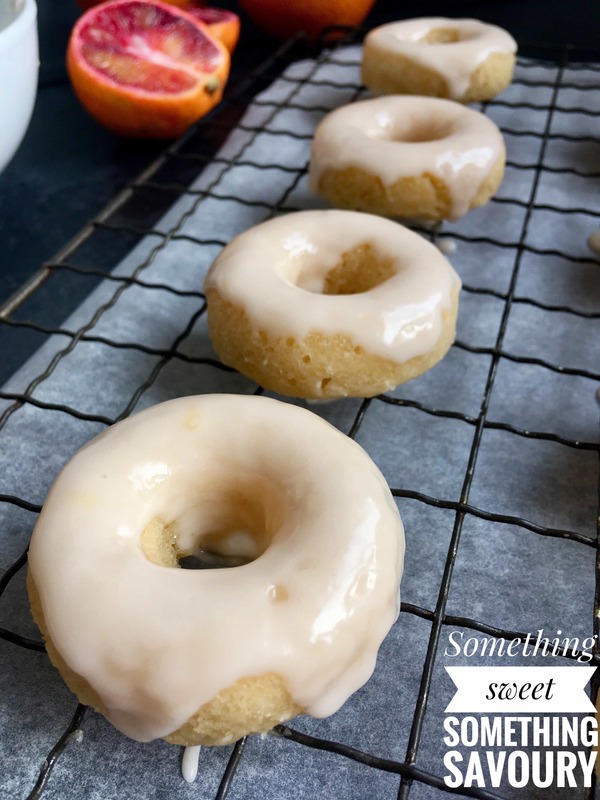 Soft, fluffy baked vanilla donuts with a zesty blood orange glaze. I’m really happy with this recipe – I hope you love it too! 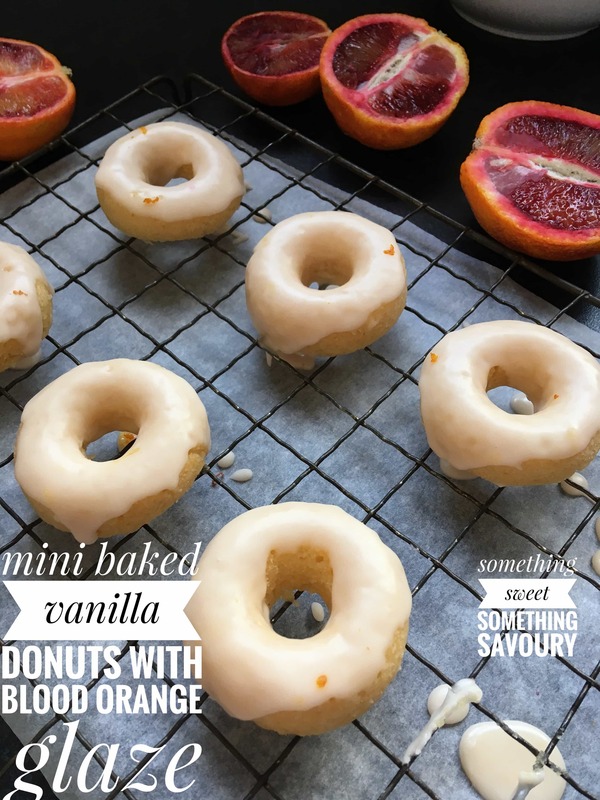 Cute little baked vanilla donuts with a zesty blood orange glaze! Simply mix the icing sugar and orange juice together until you have a smooth pourable icing that coats the back of a spoon. Preheat the oven to 180C/160F. Grease your mini donut mould. In a medium sized bowl, beat the butter and sugar together until the mixture is very light and fluffy. Add the egg a little at a time, beating well. Beat in the vanilla extract. Sift the flour, baking powder and salt together. Using a large metal spoon, fold in half of the flour to the creamed mixture, taking care not to over mix. Fold in half of the buttermilk. Finally, gently fold in the remaining flour and buttermilk until the mixture is smooth but again taking care not to over mix. Scrape the mixture into a piping bag fitted with a medium sized round nozzle. Fill the donut moulds no more than half full. 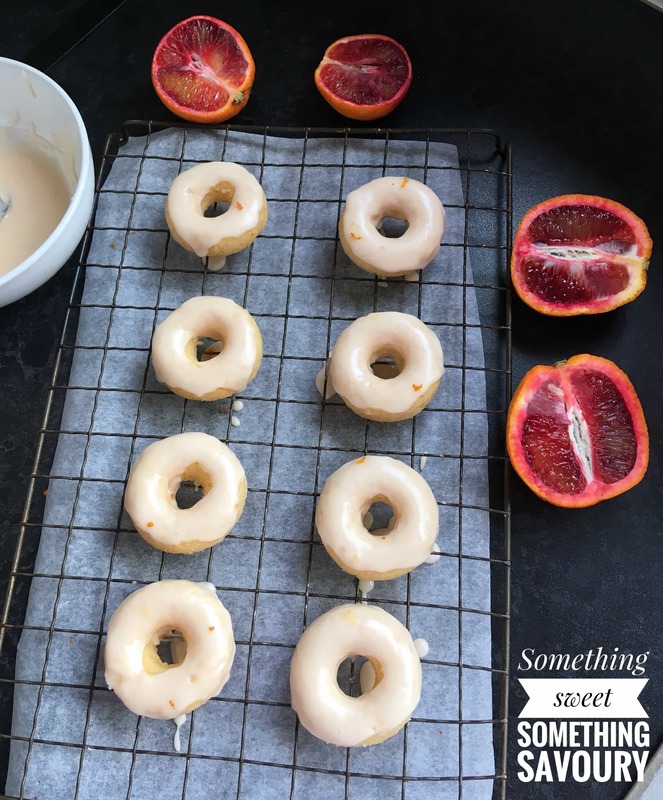 Alternatively, you can just spoon the mixture into the donut mould, but I find this quite fiddly and on my first try I ended up over filling the moulds - if you have a steadier hand than I do you might be ok! Speaking of overfilling, its pretty important that you don't because the holes will close up and you won't have that classic donut shape. Place the mould on a baking tray and place in the oven. Bake for 10-12 minutes or until risen and springy. Remove from the oven and leave to cool for 5-10 minutes before turning out onto a wire rack. Give the mould a quick wash and grease again before you make another batch. When the donuts are cold, dip them in the glaze. Place on a wire rack with a piece of parchment underneath to catch any drips. If blood oranges aren't available, normal oranges will of course be fine. Thank you! ? I have to say, the donuts disappeared so quickly! They were all gone by the end of the day ? Good excuse to make more I guess! ? The goop is fantastic! I’m seriously impressed with it ?? These look really delicious ,and the colours of those blood oranges is just stunning aren’t they? Also I just read your about section, I would never have guessed you only take photos on your phone. They are such great photos!